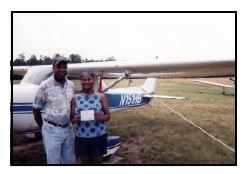 The ECCTAI Youth in Aviation Program (YIAP) started as an idea from Lonely Eagles Bill Broadwater and Ted Robinson back in 1996 in keeping with the Chapter's basic charge to continue the Tuskegee legacy and inspire minority youth. Level I is designed to expose high school students (ages 15 - 19) to possible careers in aviation through discussions, activities, guest speakers and fieldtrips. Students meet in the fall at College Park Airport (where free classroom space has been generously donated since the program's inception) for all-day sessions on five consecutive Saturdays. The sessions cover aviation history, career overviews, and the basics of flight, air traffic control, maintenance and a small aircraft flight experience. Level II is designed for the serious student who has decided s/he is interested in becoming a pilot. For those who qualify, ground school is conducted for 8 - 10 weekends to enable the student to pass the FAA written exam (a prerequisite to Level III). This is conducted in late winter/early spring as to not interfere with finals around the end of the school year. Level III, the flying portion of the program, is held during the summer for students who have successfully completed Level II. 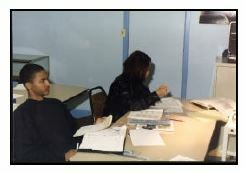 They receive at least 15 hours of flight instruction through Herb Jones' Metropolitan Aviation Flight School at Hyde Field in Clinton, Maryland. The hope is that they will solo within that time.